You have to plan trip to Tirupati, You need a Car Rental in Chennai? Choose Sri Bhavani Car Travel’s Chennai to Tirupati car rentals. Apart from our zero cancellation fees, we have a complete transparent billing policy – We have No hidden charges! The Famous temple of Tiupati is located in Andra Presdesh state, considered to be the “Best Heritage City” along with being a smart city. Hire a Car Rental in Chennai and drive to go to this temple. One of the most renowned Indian shrines, Tirupati Tirumala Devasthanam is the richest temple in the country. Tirupati has numerous temples that showcase pyramid shaped towers and are built from soapstone, sandstone and granite. Other temples to visit are the Sri Venkateswara Temple, a sanctum known for its positive energy, and the Sri Kalahasti Temple dedicated to Shiva. While visiting the holy town of Tirupati, it is definitely an experience to dine at the temples, and enjoy the food provided to pilgrims. Savour the local cuisine that includes the delicious filter coffee, appam, chakkera pongali, puliohora, miryala pongali, paayasam, seera and the laddus served as maha prasadam at the temples. Tirupati can be considered a foodie's delight with popular eateries such as Hyderabad House, Andhra Spice and Maurya restaurant serving authentic, spicy Andhra cuisine. 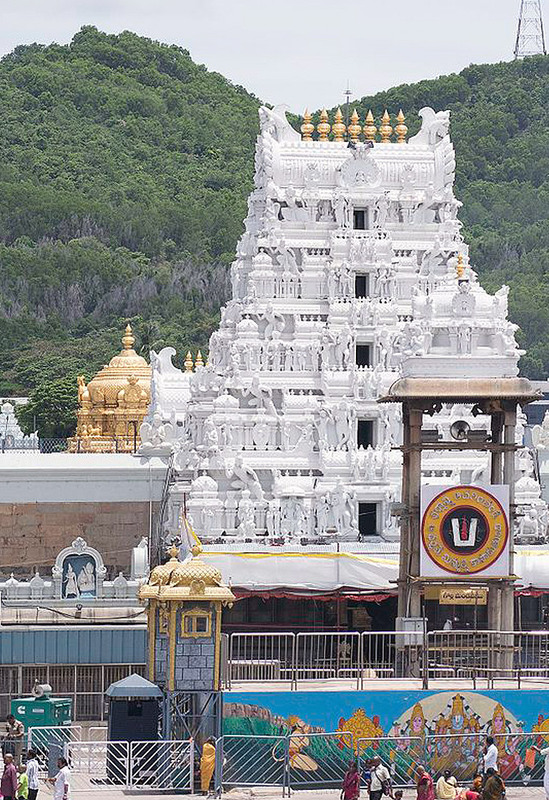 Book cabs from Chennai to Tirupati for a tranquil pilgrimage to this holy town. Copyright © 2017 Sri Bhavani Travels. All Rights Reserved.